My colleague Joe Flasher is part of our Open Data team. He wrote the guest post below in order to let you know about our new Earth on AWS project. Today, we are launching Earth on AWS and making more large geospatial datasets openly available in the cloud so you can bring your algorithms to the data instead of being required to download them to your machine locally. But more than just making the data openly available, the Earth on AWS initiative will focus on providing resources to help you understand how to work with the data. We are also announcing an associated Call for Proposals for research utilizing the Earth on AWS datasets. The National Agriculture Imagery Program (NAIP) acquires aerial imagery during the agricultural growing seasons in the continental U.S.. Roughly 1 meter aerial imagery (Red, Green, Blue, NIR) is available on Amazon S3. Learn more about NAIP on AWS. Worldwide elevation data available in terrain vector tiles. Additionally, in the United States 10 meter NED data now augments the earlier NED 3 meter and 30 meter SRTM data for crisper, more consistent mountain detail. Tiles are available via Amazon S3. Learn more about terrain tiles. The GDELT Project monitors the world’s broadcast, print, and web news from nearly every corner of every country in over 100 languages and identifies the people, locations, organizations, counts, themes, sources, emotions, counts, quotes, images, and events driving our global society every second of every day. Learn more about GDELT. Landsat 8 data is available for anyone to use via Amazon Simple Storage Service (S3). All Landsat 8 scenes from 2015 are available along with a selection of cloud-free scenes from 2013 and 2014. 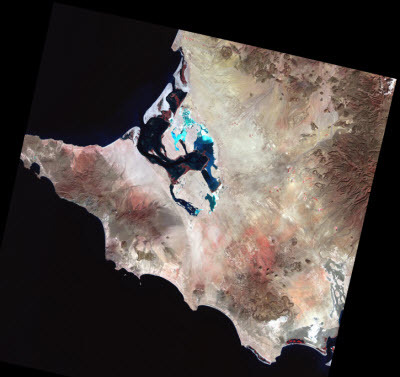 All new Landsat 8 scenes are made available each day, often within hours of production. The satellite images the entire Earth every 16 days at a roughly 30 meter resolution. Learn more about Landsat on AWS. The Next Generation Weather Radar (NEXRAD) is a network of 160 high-resolution Doppler radar sites that detects precipitation and atmospheric movement and disseminates data in approximately 5 minute intervals from each site. NEXRAD enables severe storm prediction and is used by researchers and commercial enterprises to study and address the impact of weather across multiple sectors. Learn more about NEXRAD on AWS. SpaceNet is a corpus of very high-resolution DigitalGlobe satellite imagery and labeled training data for researchers to utilize to develop and train machine learning algorithms. The dataset is made up of roughly 1,990 square kilometers of imagery at 50 cm resolution and 220,594 corresponding building footprints. Learn more about the SpaceNet corpus. The NASA Earth Exchange (NEX) makes it easier and more efficient for researchers to access and process earth science data. NEX datasets available on Amazon S3 include downscaled climate projections (including newly available Localized Constructed Analogs), global MODIS vegetation indices, and Landsat Global Land Survey data. Learn more about the NASA Earth Exchange. Open data is only useful when you understand what it is and how to use it for your own purposes. To that end, Earth on AWS features videos and articles of customers talking about how they use geospatial data within their own workflows. From using Lambda to replace geospatial servers to studying migrating flocks of birds with radar data, there are a wealth of examples that you can learn from. If you have an idea of how to use Earth on AWS data, we want to hear about it! There is an open Call for Proposals for research related to Earth on AWS datasets. Our goal with this Call for Proposals is to remove traditional barriers and allow students, educators and researchers to be key drivers of technological innovation and make new advances in their fields. We’d like to thank our customers at DigitalGlobe, Mapzen, Planet, and Unidata for working with us to make these datasets available on AWS. We are always looking for new ways to work with large datasets and if you have ideas for new data we should be adding or ways in which we should be providing the data, please contact us. Previous: Can Drupal outdo native applications?